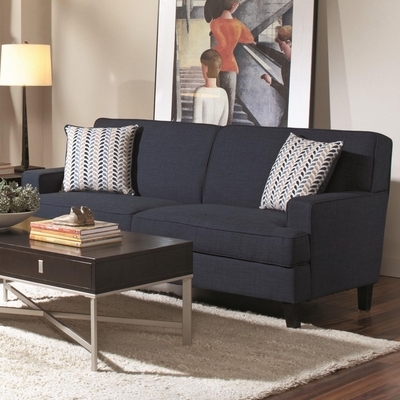 Re-classifying what it means to be edgy, this decorative sofa features a contemporary design with a bold popping color. While other sofas can be bland or too much, this transitional-styled living room sofa adds just the right amount of accent to any urban room. While lean tapered legs and smooth upholstered arms create a look with a transitional edge, clean-cut sides and geometric angles dress this sofa in a contemporary frame. 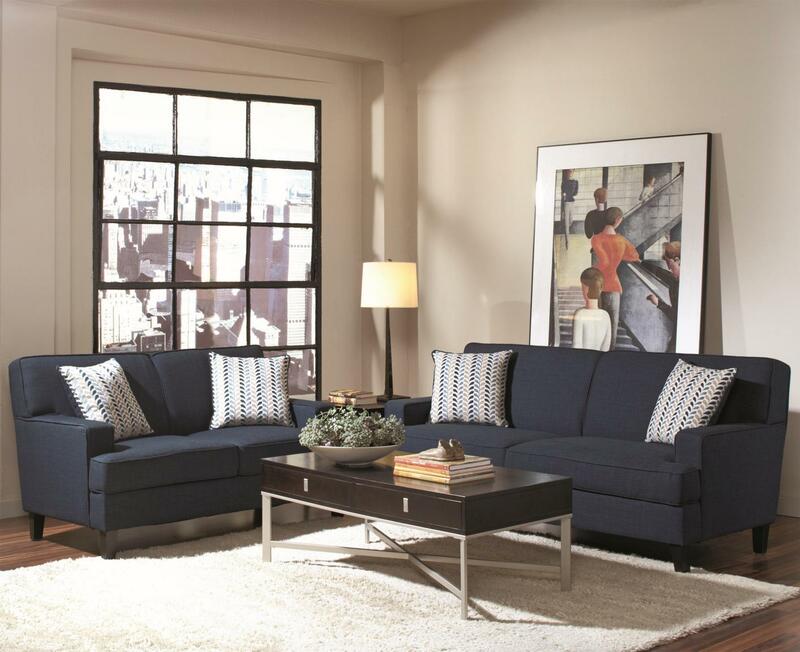 Plush seat cushions filled with soft padding and pocket coil seating help to create a soft place to sit while welt cord trim completes the piece. Use this sofa with its coordinating collection or pair it with existing items for an eclectic piece with a bold color scheme. This piece is also available in chocolate fabric.